New pet parents know that taking care of the health and well being of a puppy is hard but rewarding work. Part of owning a puppy is bathing it in puppy shampoo. Having a puppy requires patience and understanding. It also requires knowledge of how to take care of your new puppy. If the pup is with their mother, then she takes care of the puppy’s grooming needs. This is not the case if the little one is under your care. Pet owners often ask themselves or others whether their pup needs a bath or not. Well, puppies are explorers and the moment they go out to explore they get messy. Due to their natural instincts, rolling inside a pile of poop or garbage is among their favorite pastimes. All of these add up to the puppy being too stinky to be led inside without a proper bath. 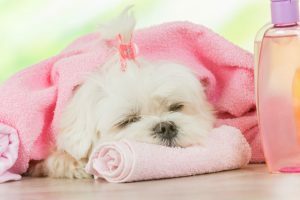 Unfortunately, there could also be instances when your puppy might need to be given a bath due to health issues. 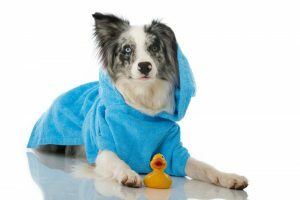 Any skin issue or an infection that might need a soothing medicated bath could be the driving cause behind your decision to give your puppy a bath. For these early years of life, sponge bath is a great option to a full scale bath for puppies. Its also the perfect opportunity to train your puppy to enjoy instead of fear the bath. Only in extreme stinky situations, one should opt for giving their pups a full dip with puppy shampoo. The most important aspect to keep in mind is to never use human shampoo or products on your new puppy. As per the ASPCA, human grooming products contains additives, chemicals and fragrances that might pose serious harm to the puppy’s sensitive skin. Always opt for a puppy shampoo that is tailored specifically for puppies and suits your puppy’s specific needs. Does the puppy have sensitive skin? Does the puppy have dry or irritable skin conditions? Does the puppy have rashes that needs a medicated product to soothe the irritation and is recommended by the vet? All of these factors need to be kept in mind while shopping for a puppy shampoo. 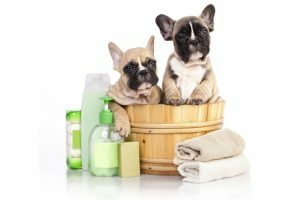 There are numerous reasons to give your puppy a bath and countless products available. Hence opting for the one that is safe for the puppy should always be a priority. How can you be sure that you are not exposing your puppy to harmful chemicals and additives? Read the label and search out ingredients that seem odd or you can’t pronounce. The perfect puppy shampoo can be determined by reading the label and the instructions. Depending on your preference and convenience, you can either opt for a bar or liquid form of shampoo. Another option for dog lovers is to purchase all natural and/or organic dog shampoos. Or…you could make your own with basic ingredients found in any kitchen. Click here for some great recipes you can try at home! If you are too busy to make your own all natural creations, there are natural dog shampoos that are readily available in stores. They come in different formulations that are safe for your puppy’s sensitive skin. The following are the best commercial dog shampoos. Nootie Dog Shampoo with Soothing Aloe Best for All Pets Including Dogs, Cats, and Horses - 100% All Natural Deodorizing Soap Free Formula Provides Itchy Skin Relief - 16 Oz. 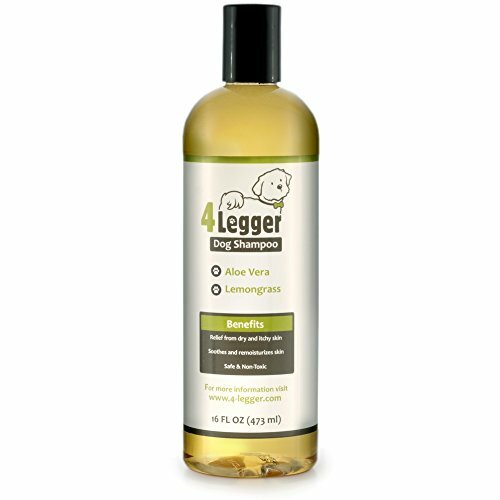 One of the best-selling dog shampoos today is 4-Legger Certified Organic Dog Shampoo. The best certified organic dog shampoo is 4-Legger Certified Organic Dog Shampoo. It’s formulated only with natural ingredients that are proven effective to relieve itching, and to moisturize your dog’s skin. A good dog shampoo such as DakPets contains only natural ingredients that work together to provide relief from itch, moisturize the skin, and cleanse the coat. 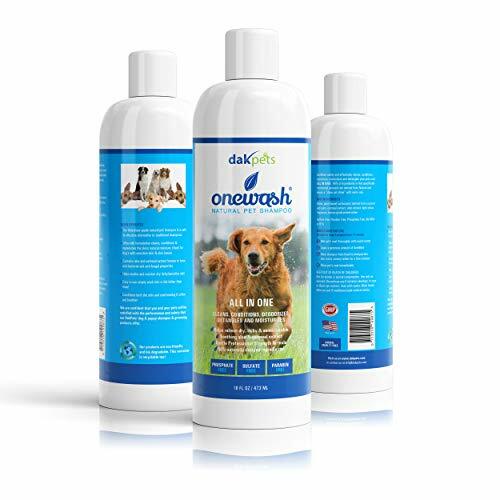 DakPets formula is also biodegradable and environmentally friendly! DakPets contains all natural ingredients such as palm oil, brown kelp, aloe vera extract, coconut oil, citrus, sugar alcohols and cellulose. These natural ingredients are safe and effective in relieving dry and itchy skin. If you wish to choose a pet shampoo that is also environmentally friendly, DakPets One Wash is biodegradable and eco-friendly. 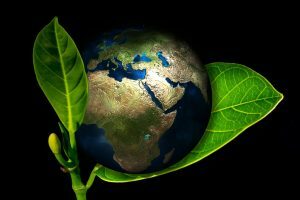 Check out our in depth post to see if your pet shampoo is environmentally friendly. Even with the dirtiest coat and extremely tangled hair, DakPets Dog Shampoo and Conditioner takes care of the problems. One alternative dog shampoos is Nootie Oatmeal Dog Shampoo. Formulated with colloidal oatmeal, coconut oil, and ordenone, which work together to relieve dry, sensitive skin, and provide a refreshing feeling. Nootie Oatmeal also has natural ingredients to help heal irritated skin and stop your pet from itching. Nootie Oatmeal Dog Shampoo is not just for dogs: you can also use it on all of your pets. It’s also safe to use with topical flea and tick products. 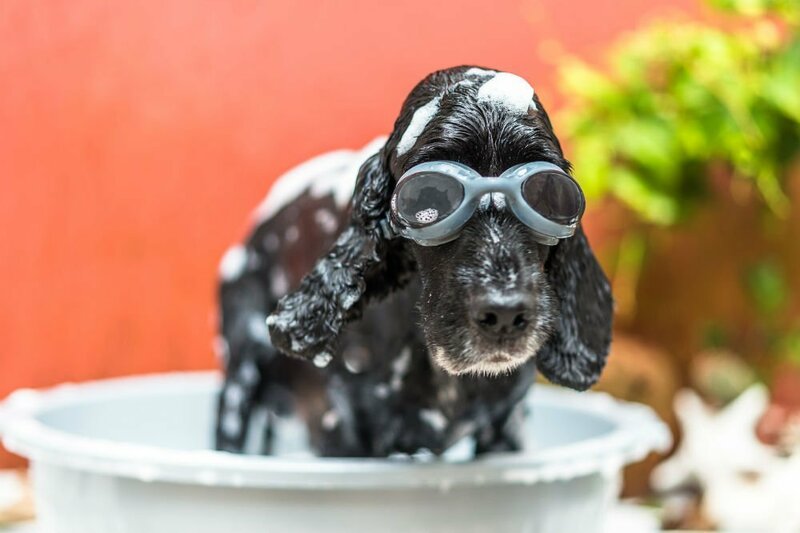 We recommend you wait 24 hours after applying a topical treatment before giving your pet a bath. Nootie manufacturers a large selection of dog shampoo products including tearless puppy shampoo. If you love Nootie’s products, you can also purchase larger 1 gallon jugs. You can also purchase Nootie’s daily spritz to freshen up your pet between baths. If you want a cologne for your pet, try Nootie Dog Spritz that smells like Japanese Cherry Blossom! Why Choose Oatmeal Puppy Shampoo? Oatmeal puppy shampoo has many benefits. Since oatmeal is all natural it will be gentle enough for your pet but also good for the environment. Oatmeal soothes dry, itchy skin by retaining or restoring moisture in your pets healthy skin. Oatmeal shampoos help to stop itching from allergies, dry skin, hot spots and flea and tick problems. It also helps to clean and soften your pets coat keeping it shiny and thick. 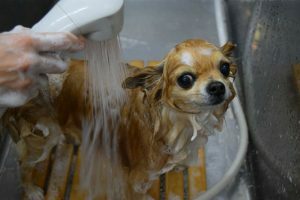 If you don’t want to expose your puppy to the frightening experience of water just yet, or have to clean them up in a hurry, you can choose waterless shampoo products. Dry puppy shampoos are basically shampoos that are available in powdered form. 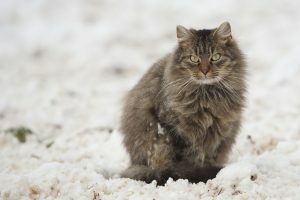 They do not require water and are rubbed into your dog’s fur, allowed to sit for a few minutes and then brushed off. These shampoos don’t need to be rinsed off after application. Reading the label of the dry puppy shampoo that you purchase is important to ensure that you are using the dog shampoo as intended. These are specially formulated products that treat symptoms like dandruff, skin irritations, excessive oil or dry skin conditions. Anti parasitic medicated shampoos are meant for those dogs that have flea or tick infestations. The shampoos that provide protection from fleas and ticks will help in curbing the flea or tick number on your puppy’s body. 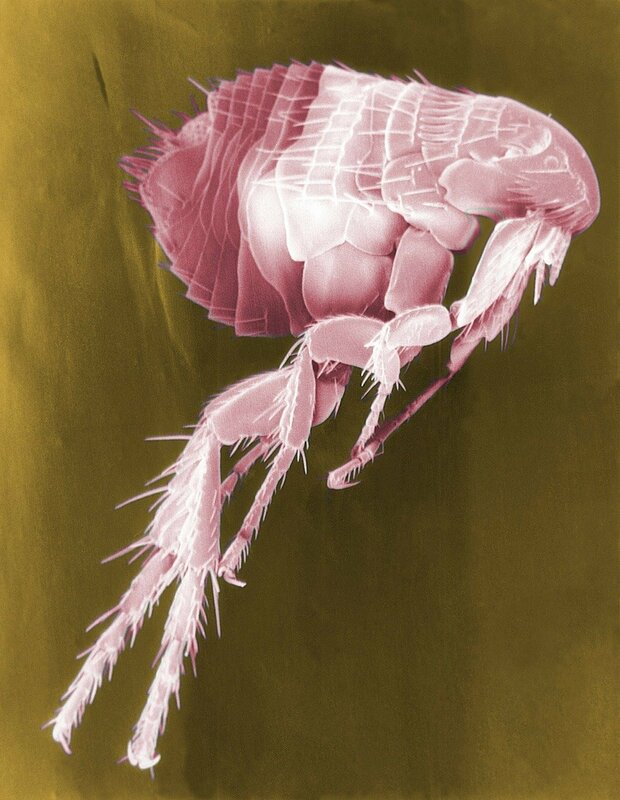 This is done by interrupting the life cycle of the flea and preventing them from reaching their adult form. The products are laden with ingredients and additives that also prevent the eggs of the fleas from hatching. There are also anti-fungal products available. These cater to the owners whose dogs or puppies are suffering from fungal infections by stopping the life cycle of the fungus. For the puppies that have super sensitive skin, the antiallergenic shampoos provide relief due to the active ingredients such as aloe vera, oatmeal extract and vitamins. There are also products like anti-seborrheic, anti-microbial and anti-pruritic products that prevent accumulation of microbes, prevent itchy skin and dandruff respectively. The shampoos manufactured from naturally occurring ingredients are gentle and less irritating to your puppy’s tender skin. Choosing a product which contains natural ingredients as the base might prove beneficial as they are less harsh on your puppy’s skin. Anti-flea as well as tick prevention shampoos are laden with additives and medications. 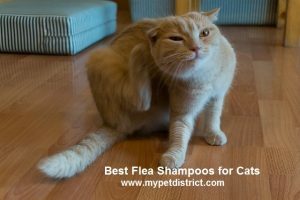 Shampoos for treating fleas or ticks are preferred for eliminating any problem. There are products specifically designed for dogs and puppies that have a light colored coat and fur. 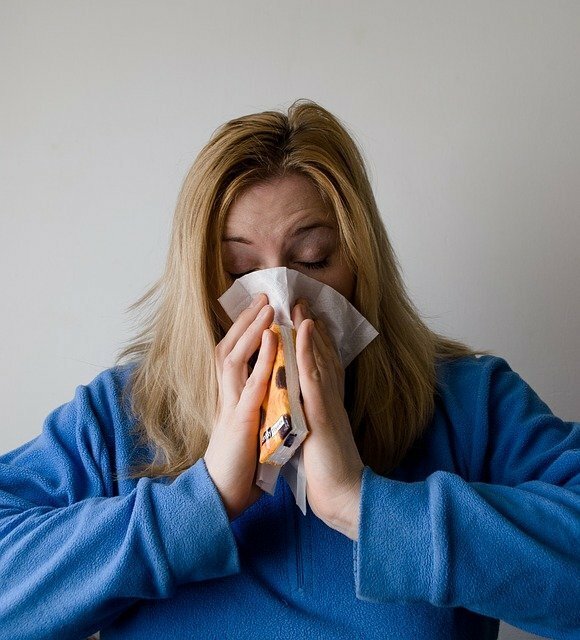 People having allergy dogs can breathe a sigh of relief as there are products available in the market that washes off dander. In the end, do keep this in mind, always opt for a shampoo that is crafted for puppies as they tend to be extra mild over the skin without causing irritation to their eyes and nose. Keeping your puppy clean is a necessity. When the puppy is under its mother’s care the grooming needs is well looked after. Once you have adopted your new furry family member, periodic bathing and grooming sessions are necessary. Grooming products help kill germs and parasitic insects such as ticks while leaving it soft, shiny and clean. Choose your new puppy shampoo carefully! Why Choose Oatmeal Dog Shampoo?